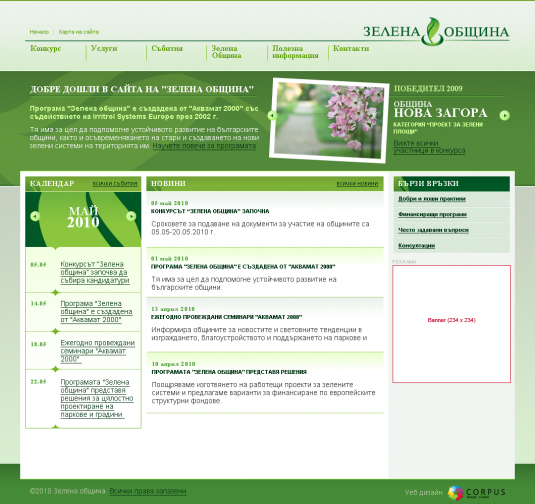 Green Municipality had trusted Corpus Design Studio again by assigning them a task of developing website for the organization. Through the website design, Corpus Design Studio succeeded to comply with the corporate style and to transfer it from the printed materials into the web space. In the new website, the users can find the information regarding the foundation activity and to enter the competitions produced by Green Municipality.